Get out the napkins! Your large crockpot will fit 6-8 lbs or four slabs. 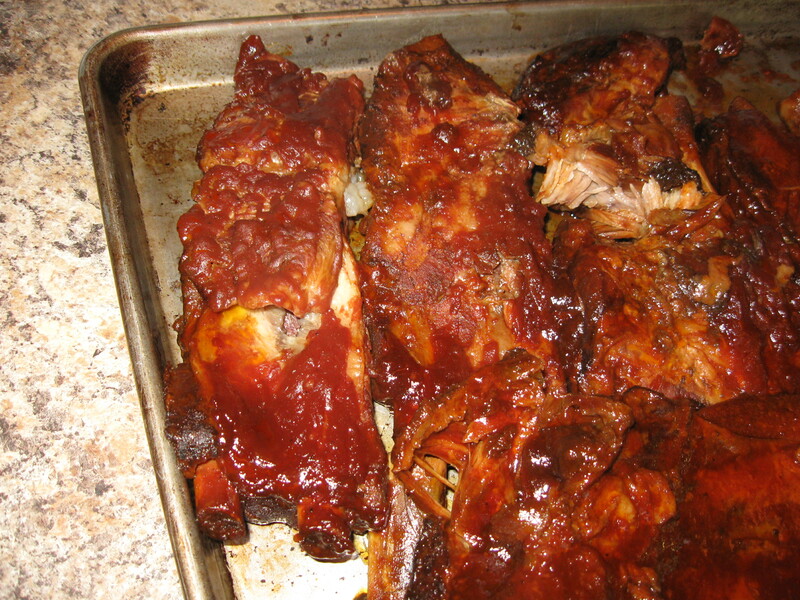 I served these with homemade cornbread and coleslaw. Wow. Lightly grease your crockpot with a cooking spray. Arrange the ribs in the slow cooker. 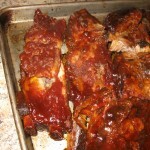 Whisk/combine all the other ingredients and pour in and around the ribs – lift the ribs and get the suace underneath. Cover and cook on LOW for 8 hours or until meat begins to separate from the bones. Serve immediatley.